I did a video on how to attach/mount horizontally off camera flashes to lighting diffusers and attaching them to radio triggers. 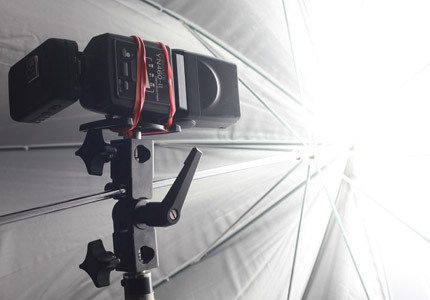 If you use radio triggers, you probably noticed that putting a flash + a trigger + an adapter , might feel a little fragile . One of the things that I miss with the YN622c is that they don’t have a quick release screw like I used to have with my previous YN602 triggers. That means you have to lock it to another flash stand which made this puzzle look even more fragile. 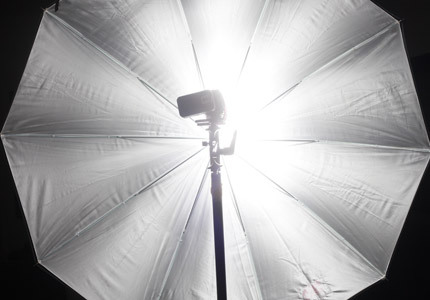 If you use a brolly box, I probably know there is no normal way to attach an off camera flash like you all strobist use. 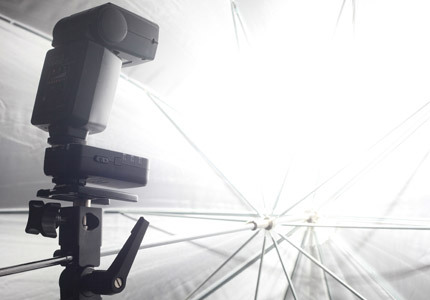 While using a flash adapter with a bear umbrella, you’ll find the flash really out of the center of the umbrella, this hack will put the flash in a much better position! Two rubber bands , pick some good ones, just to be safe. 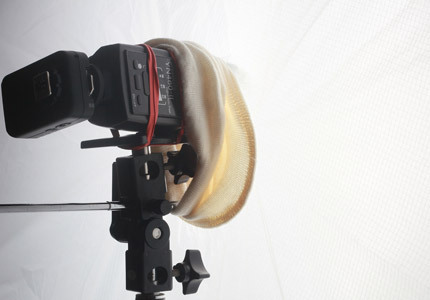 Here is how to use this DIY horizontal flash holder hack with a brolly, there is no cheaper or easier way in the world to do this!!! I’dd be more than happy if you share this post and let me know what you think about it. Hey, thanx for the tip. That’s exactly the problem I’ve told to a friend of mine: why did no one create another lower speedlight holder. The common holders are pretty fragile and the light is really too far from the center of the umbrella. Your solution is pretty simple but It works! 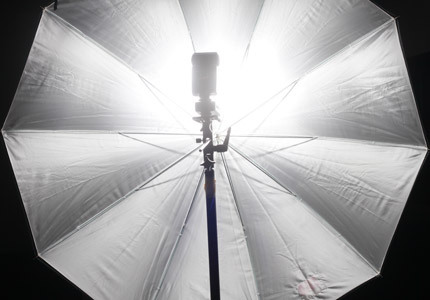 The flash position lights to really top part of the umbrella. This hack makes it more even. I’m working on a better DIY solution, stay tuned. by the way it also works fantastic! I’m just writing my next post who is about a more “sophisticated” horizontal flash holder.